Just because you don't have a fence doesn't mean your property is open to others. 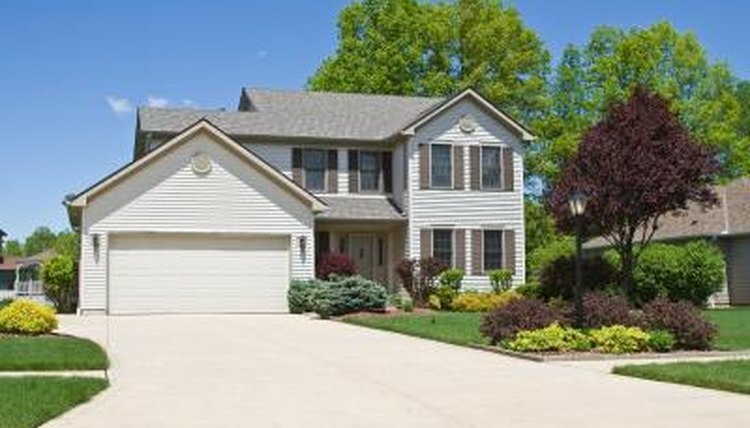 Local ordinances may prohibit fences in front yards, and perhaps you would prefer not to separate the front and back sides of the parcel. Perhaps you use an Invisible Fence or similar product to give your pet access to the entire property. Maybe a fence would discourage wildlife that you would like to see in your back yard. Regardless of the reason, there are steps you can take to keep people off your property without having to pay for a fence. Purchase no trespassing or private property signs at a local hardware store. Buy enough to cover every side of your property. If it's a large parcel, buy enough to place a sign every 50 yards. According to Mother Earth News, you may want to add the words, "by written permission only," on the signs to allow legal access for those you do want on your property, including trash pickup crews or heating oil delivery drivers. The signs can also include contact information in case a service provider wants to call first before entering your property. Inform neighbors that your property has been posted. 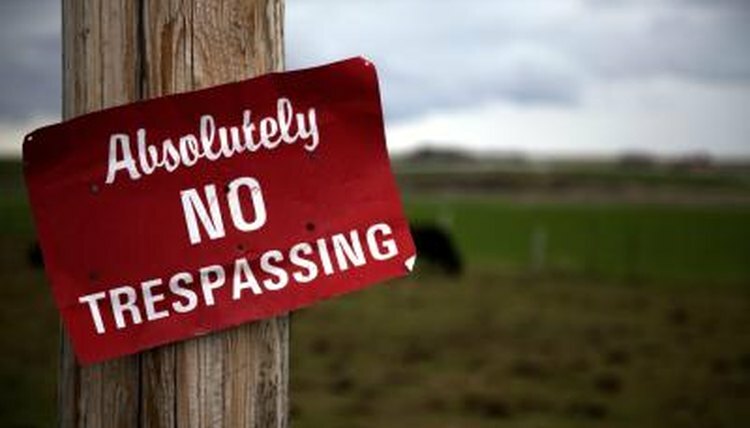 Ask them to tell you if they still spot others entering or exiting the property, regardless of the no trespassing signs. Based on their reports, double check to make sure every stretch of the land is adequately posted. Ask the neighbors to call the authorities if they spot trespassers on your property. 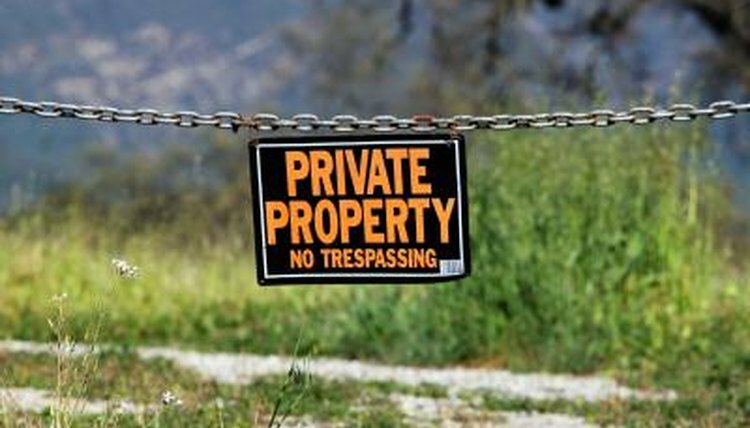 Discuss your effort to keep trespassers off your property with local officials, including the town board and the local police department. Bring it up at a public meeting so that your comments are entered into the official board minutes, or submit a formal letter to the board. Establish a good rapport with the police ahead of time so they don't get annoyed if you call them frequently to report trespassing incidents. Officers might be willing to add a stop near your property in their patrol routines. Gifford, Aaron. "How to Keep People From Trespassing on My Property Without a Fence." 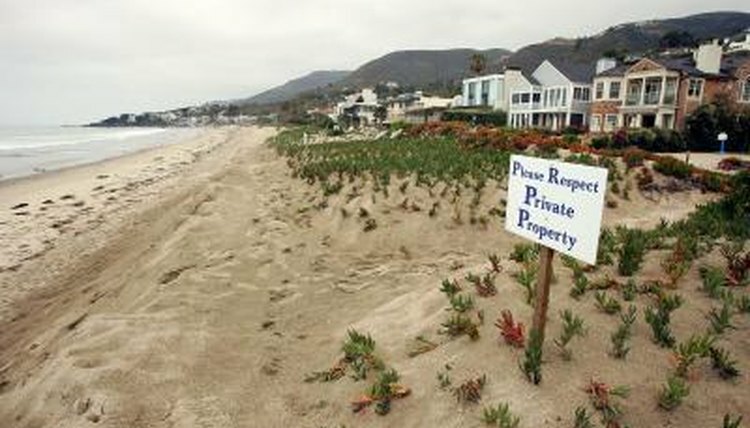 , https://legalbeagle.com/6386260-keep-people-trespassing-property-fence.html. Accessed 19 April 2019.